Stain resistant finish. Concealed mobile phone pocket under storm flap. Drawcord hood and hem. FR Cotton Lined. 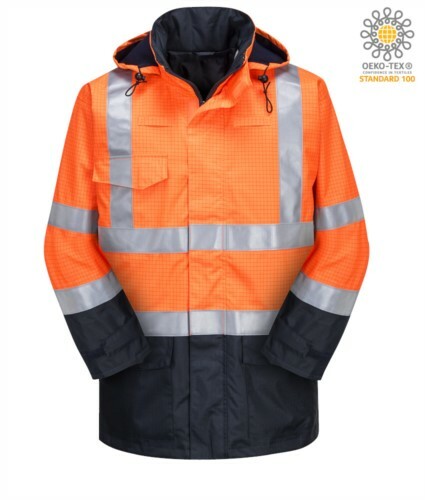 Dear friend, I suggest you this article: HIGH-VISIBILITY TRIPLE-PROTECTION JACKET ; You can find it on the web at: https://www.castbolzonella.it/scheda.asp?content=.